Horsetail Fall: Spectacular or spectacle? 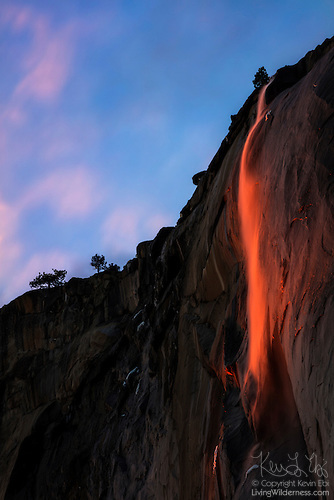 As the red light of sunset reached the waterfall, applause erupted across the Yosemite Valley. Normally I work in quiet solitude, but this is a special waterfall and it drew an energetic audience of hundreds. The question is, is that a good thing?